St. Augustine, FL – December 12, 2017 – Students from the University of St. Augustine Health Sciences (USAHS) and Sebastian Middle School in St. Johns County, Fla., have spent the past several months working together to address real-world patient problems in creative and personalized ways. 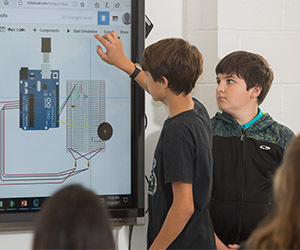 This partnership between Masters of Occupational Therapy students at USAHS and students at Sebastian Middle School focused on an innovative STEAM program which emphasizes the disciplines of science, technology, engineering, arts, and mathematics. 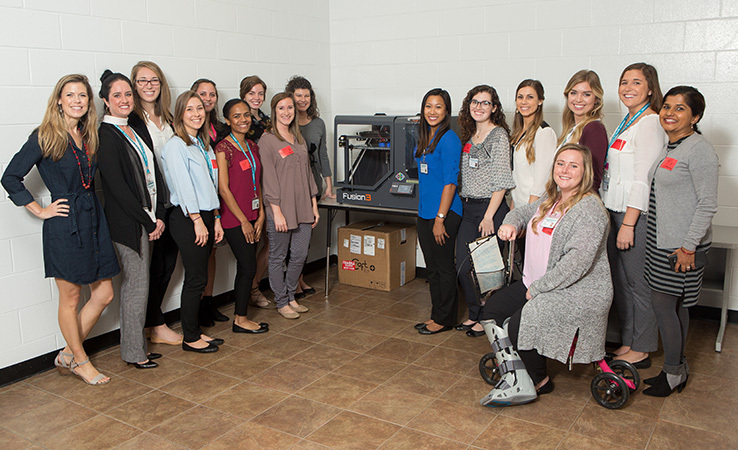 The students worked together with emerging technologies, such as 3D printing, to create assistive technology, adaptive equipment, orthoses, and prostheses for real-world patients. A cane attachment that will provide more stability for a client who has a history of falls. “The partnership with the University of St Augustine for Health Sciences has provided our students the opportunity to apply Science and Math concepts whilst collaborating with college students on medical needs in our community,” said Wayne Hill, principal, Sebastian Middle School. For more information, visit usa.edu or contact Rachael Lighty at [email protected].